Hamilton Insurance Group, the Bermuda-based holding company for insurance and reinsurance operations in Bermuda and at Lloyd’s, today announced the appointment of Daniel Fisher as Group Head of HR. Mr. Fisher comes to Hamilton from the International Swaps & Derivatives Association [ISDA] where he held the position of Global Head of HR. Prior to working at ISDA, Mr. Fisher worked at Munich Re. 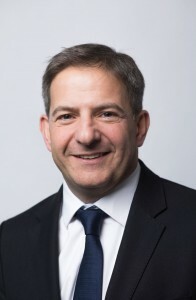 His 13-year career there included two years as Global Head of HR Strategy, six years as SVP HR [Regional Head], North America, and five years as Director of Human Resources for Munich Re’s UK and Ireland division. His experience also includes three years consulting with KPMG and three years working with the Kingfisher Group. Mr. Fisher holds a bachelor of arts degree [Honours] from the London School of Economics and a master’s of science degree in Personnel Management & Industrial Relations from the University of Manchester’s School of Management. He is a Fellow of the Chartered Institute of Personnel & Development.